Annie and Helen, written by Deborah Hopkinson and illustrated by Raúl Colón, was a nominee for the 2014-15 South Carolina Picture Book Award. 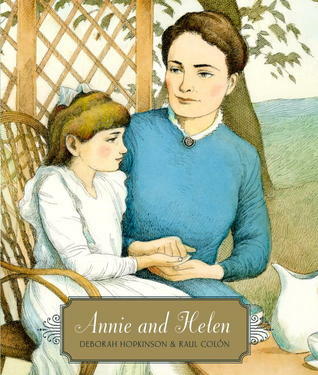 Annie and Helen is an ideal book for introducing young readers to the inspiring story of Helen Keller and her teacher, Annie Sullivan. The book takes readers through both Sullivan’s and Keller’s early lives and their quest to find a way for young Helen to communicate with the world around her. The watercolor illustrations in Annie and Helen combine beautifully with the poetic narrative, and both are used to show readers how difficult it often was for Helen to find her “voice,” and how both Annie and Helen persevered until they were successful. The text from actual letters written by Annie Sullivan about her experiences with Helen and photographs on the end papers make this book an excellent work for teaching about primary sources and how they can be used to present information. Annie and Helen is also a great book to teach young readers about courage, perseverance, working together, and the impact a good teacher can have in a person’s life. White House Kids by Joe Rhatigan is a nominee for the 14-15 South Carolina Children’s Book Award. Unlike many nonfiction books, White House Kids is targeted directly to kids. From the very first page, the author makes it clear just who his target audience is. He charges young readers to peruse this book and decide whether or not they would like to be a White House kid. Readers will also learn that it’s not easy being a White House kid. As one kid put it, “it’s like living in a fishbowl.” Privacy is nonexistent, parents are always traveling, the press and public always want a piece of these kids, and people often say bad things about their families or even the kids themselves. 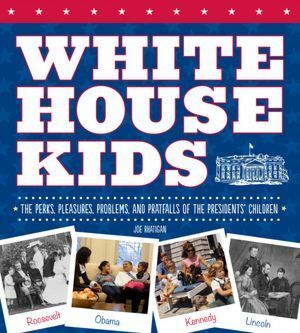 Peppered with primary sources and interesting stories, White House Kids is an excellent addition to classroom and library collections. It is a thoroughly entertaining read (even for people like me who really don’t like most nonfiction) and shines a light on an experience that few Americans really think about. An interesting classroom exercise might be reading this book together and then having students write opinion pieces on why they would or would not want to be a White House kid, using evidence from the book to support their arguments. 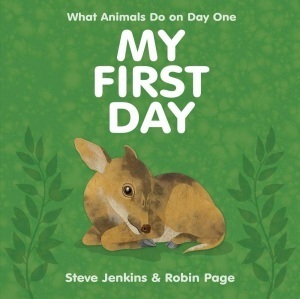 My First Day, by Steve Jenkins and Robin Page, was a nominee for the 2014-15 South Carolina Picture Book Award. My First Day takes a look at what animals do on their first day of life. Some animals, like the Siberian tiger, emperor penguin, or sifaka (a type of lemur), rely on their parents to care for them for a while. Others, like the capybara, leatherback turtle, or kiwi, are on their own almost immediately. Many other animals are somewhere in between. With interesting text, colorful pictures, and further information at the back of the book, My First Day is an excellent book for readers who love animals, especially baby animals. Many of the animals depicted aren’t well known, so this book could serve as a starting point for more in-depth research. This book is a welcome addition to collections focused on animal studies and will surely be a hit as a read-aloud with many young students. 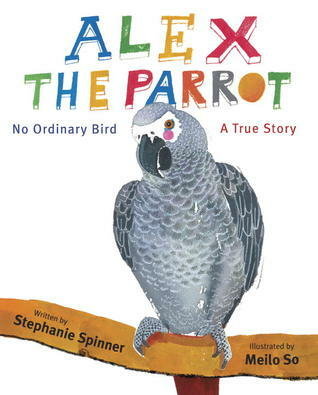 Alex the Parrot: No Ordinary Bird, written by Stephanie Spinner and illustrated by Meilo So, was a nominee for the 14-15 South Carolina Children’s Book Award. Alex the Parrot: No Ordinary Bird is a true story of an extraordinary animal. This book tells the tale of Irene Pepperberg and her work with Alex, a truly phenomenal African grey parrot. Irene believed that birds could learn language and communicate with the world around them, and she set out to prove just that. She patiently taught words and their meanings to Alex, and the clever parrot quickly showed everyone just how smart he was. He learned to sort by color, shape, and size, he could count up to six, he let everyone know what he wanted to eat, and he even played pranks on those around him. To top it all off, Alex made sure people knew that he was the boss! In a time when most people believed that only larger animals, particularly apes, could be taught to communicate with humans, Alex proved everyone wrong. He and Irene showed the world that birds were intelligent creatures that often had quite a bit to say! Alex helped others learn more about birds, especially African grey parrots, and that has changed how these animals are viewed even today. Alex the Parrot: No Ordinary Bird is an excellent book for anyone interested in how animals communicate. I think this book will be an excellent addition to animal studies, and I even hope to use it as a read-aloud with my youngest students. When paired with actual videos of Alex (and other birds), I think this book could be a tremendous teaching tool on animal intelligence. 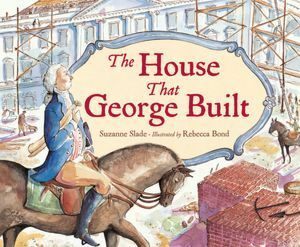 The House That George Built, written by Suzanne Slade and illustrated by Rebecca Bond, is a nominee for the 14-15 South Carolina Picture Book Award. If you take the familiar story of “The House That Jack Built” and combine it with the history of America’s most famous home, you’ve got The House That George Built. This book tells readers about the building of the White House, and how George Washington, the only president who never actually lived in the house, oversaw its construction. The House That George Built takes us through the early days of our nation, the selection of site for the president’s home, choosing a design, and into the actual building of what would become the White House. The explanations of those events are coupled with charming rhymes reminiscent of the familiar poem mentioned above. Readers see that, even though he held the highest office in the country, George Washington didn’t hesitate to lend a hand wherever it was needed. He assisted with the actual design, he pounded in stakes, and he made important decisions so that the house would be finished on time and budget. An afterword and author’s note provide more information about the building of the White House, including some of the changes that have been made over the years. This book is an ideal fit for studies of Washington, DC, George Washington, or even architecture. It could also be used as a read-aloud for Presidents’ Day. In any event, The House That George Built is a welcome addition to any library collection, and I think both students and teachers who read this book will have a new appreciation for the White House and the man ultimately responsible for building it. 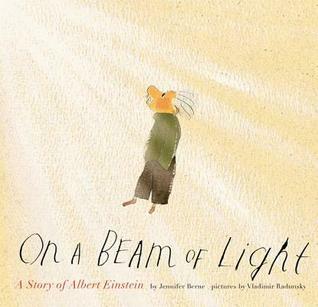 On a Beam of Light, written by Jennifer Berne and illustrated by Vladimir Radunsky, is a nominee for the 2014-2015 South Carolina Picture Book Award. This entertaining, educational book provides young readers with a very accessible look at Albert Einstein, one of the greatest innovators of all time. With simple yet charming illustrations and text, even the youngest budding scientists will be delighted by this book. On a Beam of Light takes readers on a journey through Einstein’s earliest years–when he said very little–through his childhood and education, and on to his career, both in a government office and in the scientific community. Through everything, Einstein maintained a fierce love of knowledge and a limitless curiosity. He also held onto his love of life and the larger world around him! This is an example that all readers, regardless of age, should strive to emulate. This look at Einstein’s life definitely has a place in all school, public, and classroom libraries. Younger readers may use this book as an introduction to the life and work of Einstein, but older readers, particularly science enthusiasts, could utilize this book to give a more personal look at this often larger-than-life figure. An author’s note and afterword provide readers with more information about Einstein and could lead some to do their own research into this fascinating man and scientist. 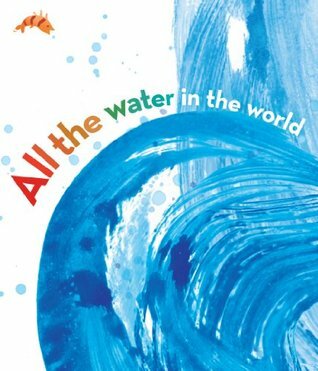 All the Water in the World, written by George Ella Lyon and illustrated by Katherine Tillotson, is nominated for the 2013-14 South Carolina Picture Book Award. This charming book provides young (and older) readers with a simple–yet beautifully poetic–look at a resource that is needed by every living thing. Sometimes we forget just how important water is…until it becomes scarce. This wonderfully illustrated book gives readers a glimpse at the water cycle and how vital water is to people, animals, and the environment. The illustrations and text in this book fit seamlessly together, and readers who experience this book could use it as a jumping off point to create their own picture books about natural resources, animals, or anything else they may be interested in.